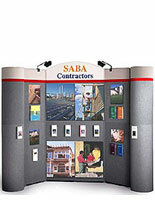 The service trucks, mobile carts are useful to transport heavy equipment or supplies! The tall, slim design makes this pushcart easy to maneuver, even in busy hallways. 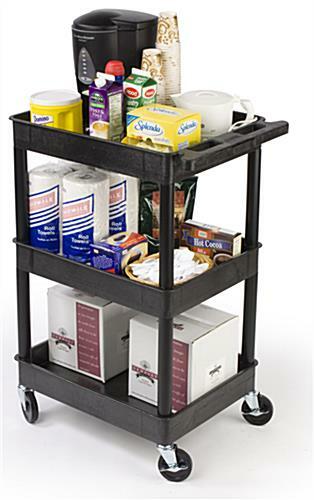 These supplies trucks, service dollies, or mobile carts are commonly seen in hotels, restaurants, and business buildings. 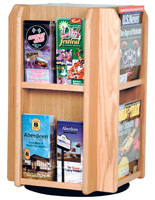 The large shelves provide ample storage space to bring along all of the necessities for the day. 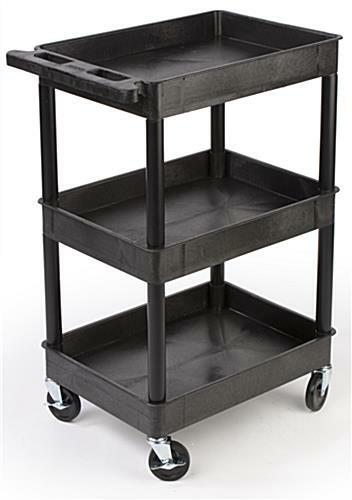 With three, 2-3/4" tubs in addition to a 12" clearance between shelves, the mobile carts can be used for an array of tasks, like jobs that require stocking inventory or cleaning! 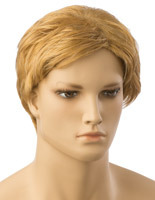 This dolly is a must-have for any type of janitorial or housekeeping department. These service hauls are the mobile carts most businesses order! 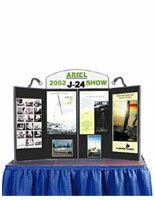 Order these units in bulk for discount savings. 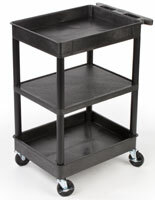 These mobile carts have two locking wheels out of four swiveling casters that assist with smooth steering when navigating through busy hallways! Once in position, lock two of the wheels to provide a stable work surface. 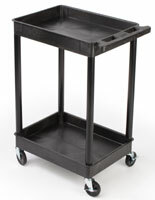 Fabricated from polyethylene, a durable, long lasting plastic, these mobile carts will last for years and stand up to frequent use. 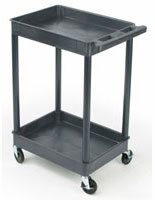 This hand truck can be cleaned with a mild detergent and water. 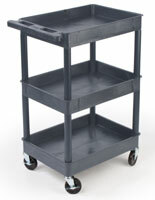 These mobile carts, such as the service truck or custodial dolly, is ideal for any task that requires transporting equipment or that need supplies on hand while moving around. Please Note: Mobile carts needs two people for assembly. Rubber mallet and hardware necessary for assembly are included.